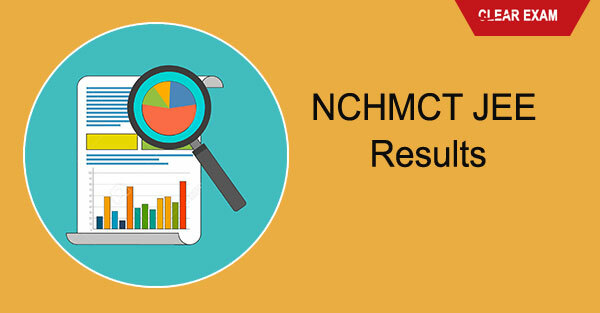 NCHMCT organized JEE Exam 2018 for the students whose result will be announced in the third week of May 2018. Students have to wait for IHM Pusa Results till the third week of May 2018. NCHM JEE Exam will be conducted 28th April 2018 for admission to 3 years Bachelor of Science Program in Hospitality. Students who have appeared for the NCHMCT JEE exam 2018 will be shortlisted on the basis of minimum qualifying marks criteria by National Council for Hotel Management Joint Entrance Exam. The students who have qualified in the written test can check their marks online only. There is no other process to check the result. The seat allotment will be done on the basis of merit list after the result will be announced. No other interview or GD will be conducted. Candidates can check complete details on the website of NCHMCT about JEE 2018. National Council for Hotel Management and Catering Technology is an autonomous body which was started for the development and growth of Hospitality Industry and for boosting the hotel management education sector in India. Official nchmct jee result date will be announced on the official website, tentatively, the result came after 20 days of the written exam. Enter Roll Number, Date of Birth and other login credentials as required. Click on NCHM JEE Result. After the declaration of NCHMCT JEE result, the merit list is announced by the college. On the basis of the marks obtained by the candidates in the exam, the list is being prepared by the exam conducting body for JEE 2018. The candidate who secures higher marks in NCHM JEE English section will be given higher rank. If both the candidate secures same marks in English section then the candidate who has obtained higher marks in Service Aptitude section of NCHM JEE exam will be given priority and ranked higher. Even after considering the above two criteria for deciding merit list, if there is a tie amongst candidate, then the candidate who is older in age will be ranked higher by the exam authority. The authority has decided to allocate a total of 8124 seats for Bachelor of Science across a total of 55 participating institutes including centrally funded, state-funded and private institutes. The allocation of seats will be done by National Council for Hotel Management and Catering Technology as per the specified reservation criteria. After this, counseling plays a vital role in allocation of seats. Below are the reservation criteria to be considered by candidates for seat allotment. The National Council for Hotel Management and Catering Technology announce the result in a month after the Joint Entrance Exam is being conducted. The students who are confident about their result can further go for other details about the course and get full knowledge so that they get a clear picture of college and fee structure after the result is being announced by the authority.